~The Three Prayers: Will You, Won't You? In an effort to do what I have encouraged others to do, I was listening to the beginning of the book of Matthew yesterday. 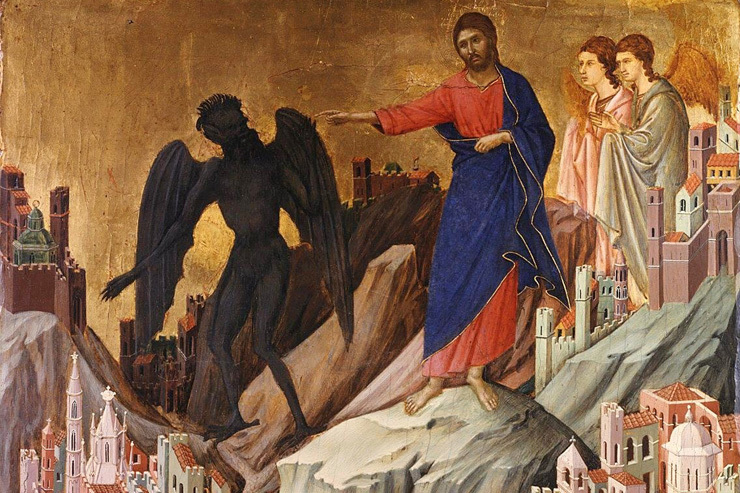 In the fourth chapter, we read about the temptation of Jesus in the wilderness. As I was listening to it, I started thinking about the temptation of Eve in the Garden of Eden (Genesis 3). Now the more I thought about it, the more I realized that a lot of people must have made this connection before, and a quick Google search showed that this is true. It had never occurred to me before, though, and I'm fairly certain that I have manged to reach the age of 65 without ever hearing a sermon about it. It seems as if Jesus, before He began His public ministry, had to go back to the beginning of the end of paradise. Just as this long, sad fall away from grace began with Eve's temptation, the path to redemption had to begin with the temptation of Jesus. The enemy tempted Eve to eat the fruit of the tree, which was death; he tempted the Lord to refuse to eat that same fruit to achieve our salvation. There are lessons for us in both of these passages. In the first, the enemy deals in the same kind of obfuscation and half-truths that we see in the story of Denethor. He starts by trying to put God in the wrong, implying that He would be so unjust as to forbid Adam and Eve to eat any of the fruit in the garden. 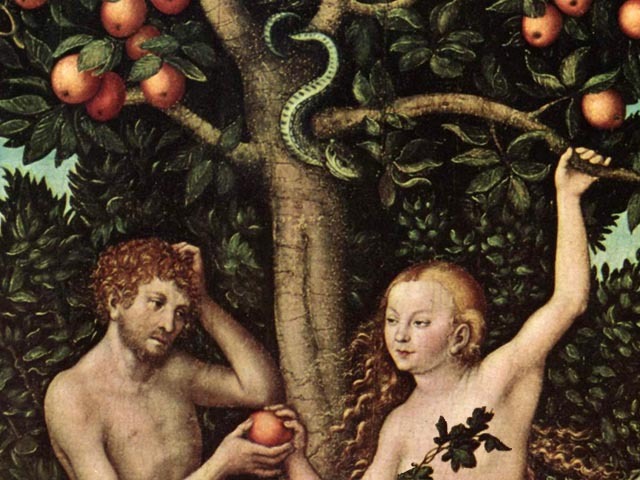 Then he tells Eve that if she eats the fruit, she will be like God. She already is like God--made in His image. He offers her something she doesn't need, and leads her to mistrust the One Who is always trustworthy. He makes her forget who she is. 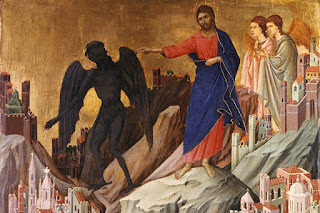 In the case of Jesus, there is no way that the evil one could make Him forget Who He is, so Satan takes the opposite tack. He wants to remind Jesus Who He is. Why should He sit out in the desert and starve, alone and powerless? He could rule the world. 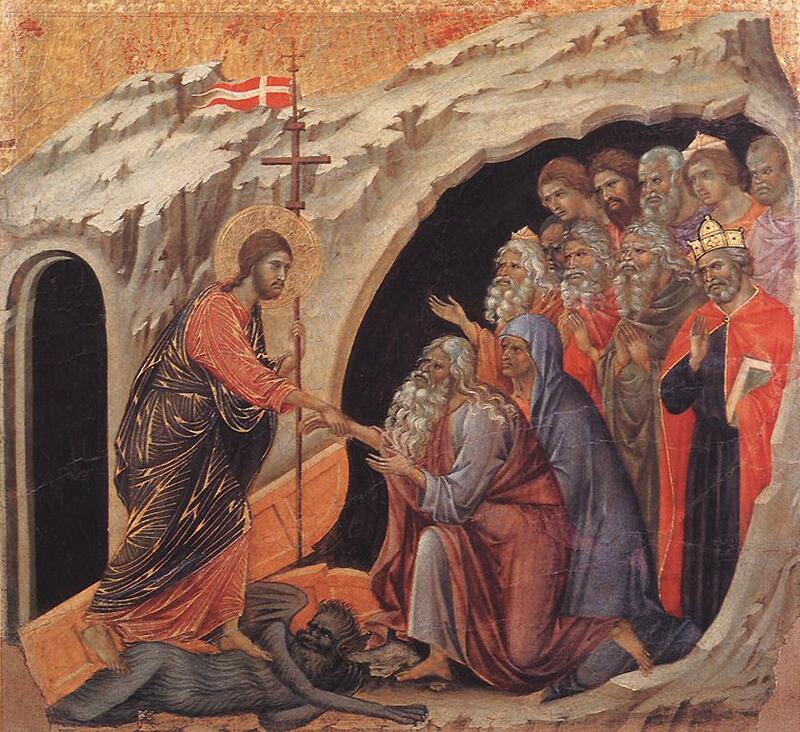 Jesus resists the temptation and sets out on the road to the cross. Another thing that I've never thought about before is how Jesus overcomes temptation at the exact moment when we excuse ourselves for giving in. He is very hungry, and He must have been very tired. Hungry and tired is my best excuse for yielding to my habitual sins. It makes me think. I'm hoping it will make me do more than think. Coincidentally, as though there were such a thing, since I started writing this post yesterday, I have had ample opportunity to practice what I'm preaching here, and I can't say I've been a stellar success. At least I've been aware of exactly what I was doing. That's a beginning.